Apple and Google remain fierce rivals in the mobile world with both companies’ platforms dominating the mobile space, but Google does have some presence in the Apple world with some applications available to iPhone users. Now there is some contradiction going on regarding a Google Now for iOS release. Earlier this month we heard that Google was looking to expand the availability of its Google Now assistant feature, which could include a version for iOS. Now former CEO Eric Schmidt has stated that a Google Now application for the iPhone and iPad was basically down to Apple with a hint that an application was awaiting Apple’s approval. He didn’t go as far as confirming the application was awaiting Apple’s approval but when asked about any such app Schmidt said they need to talk to Apple about it. Apple is notorious for not approving applications especially ones that are similar to features that are already available as part of the iOS firmware, so whether Google Now gets approved remains to be seen. This situation hasn’t arose yet anyway as there are reportedly no Google applications currently awaiting approval for the App Store anyway, which seemingly goes against anything that the former Google CEO has said so far. The company could be testing the waters to see what response Apple may have over the matter before submitting Google Now for approval to the App Store. Previously a video appeared showing the app working on iOS but was quickly pulled shortly after, but luckily it was too late for it to spread around the Internet. 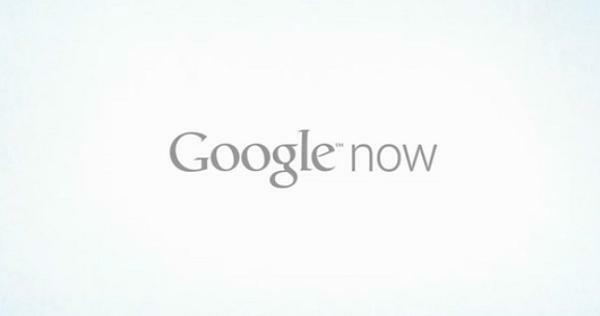 Do you like the idea of Google Now on iOS and do you think it will ever happen? The beauty of having iOS, is that it’s so popular that google cannot resist the temptation to benefit for i device exposure. I think that allowing google apps on iOS should not step on apples shoes (so to say), as both of these companies profit from completely different sources, apple from selling devices, and google from advertising. What’s funny is that android users always brag that their phones are more versatile, yet apple can have best of both worlds: the seamless features of their own, and google’s, as there are already numerous features from google that apple users can enjoy.